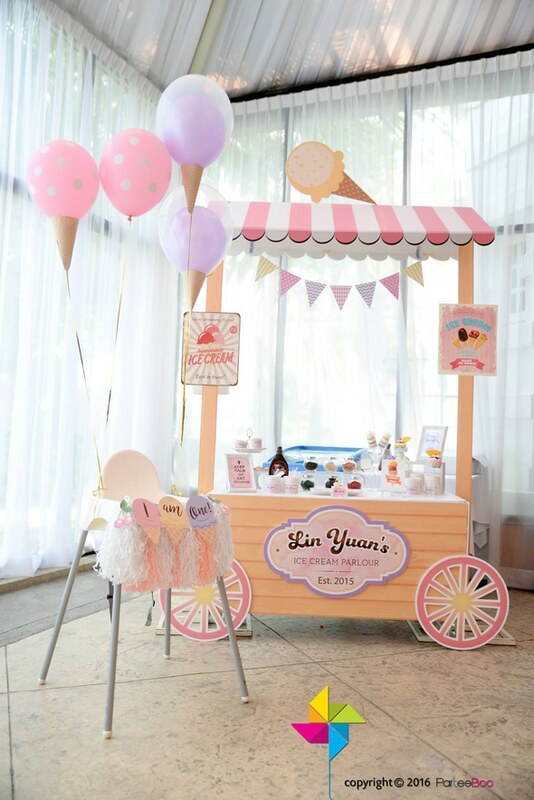 Welcome to the sweetest Ice Cream Parlor First Birthday Party ever! 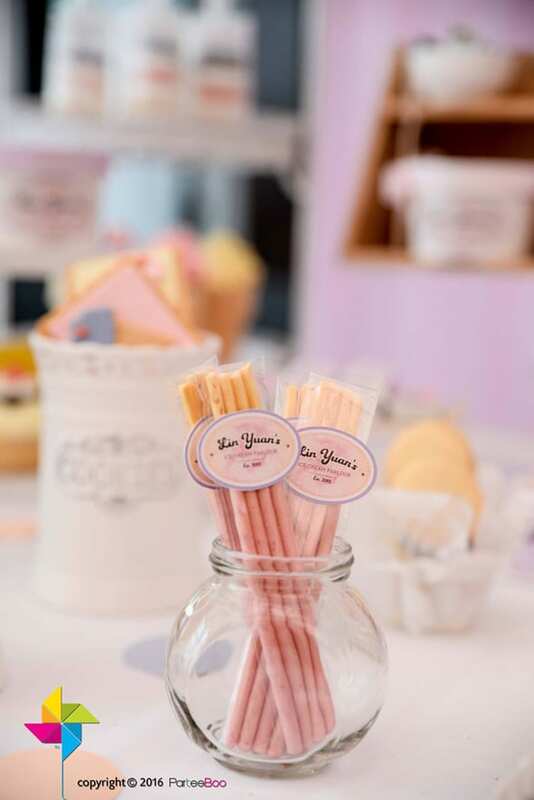 What a perfect treat for a 1st first birthday party soiree. Who doesn’t love ice cream?! 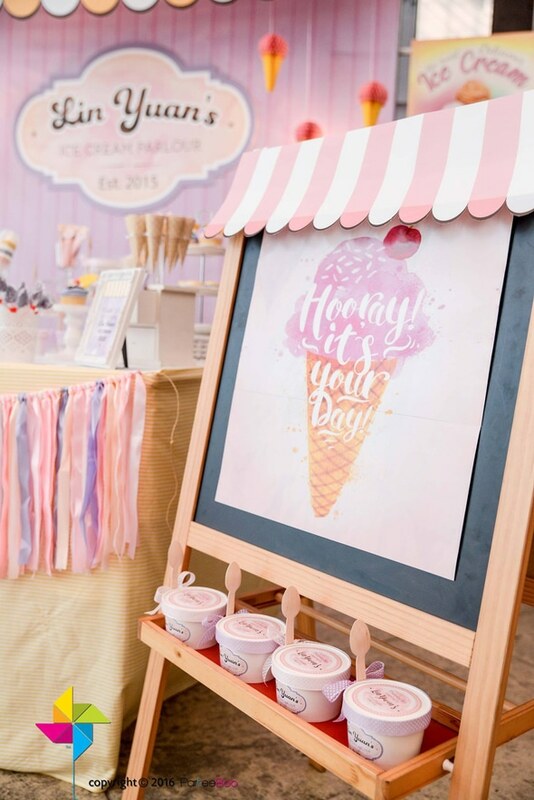 This ice cream themed party was nothing short of amazing! 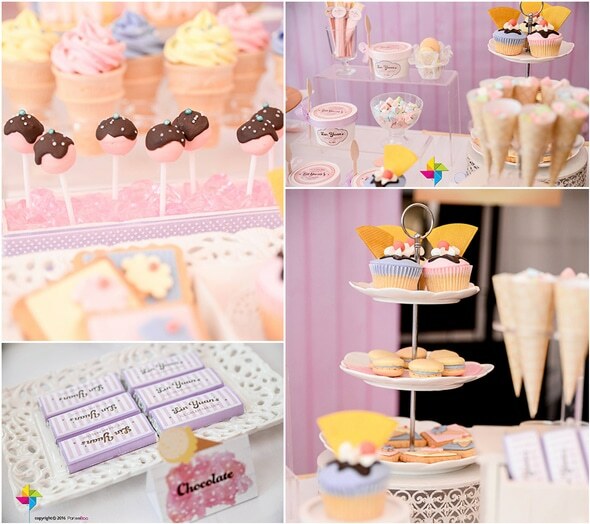 Pretty pastels and lots of sweet treats made this party one to remember! 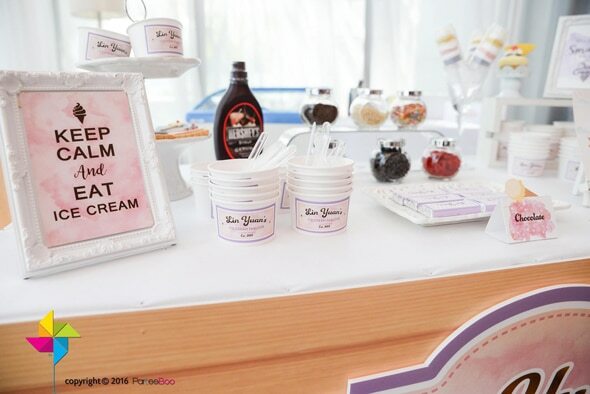 The dessert table was adorable and featured a vintage ice cream parlor sign that was custom made for the birthday girl’s party! 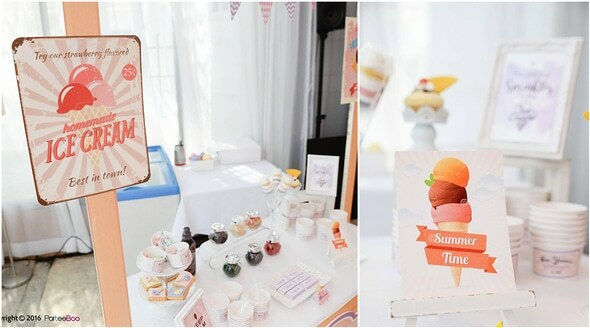 Cupcakes, push up pops and more sweet treats were available for guests to try! 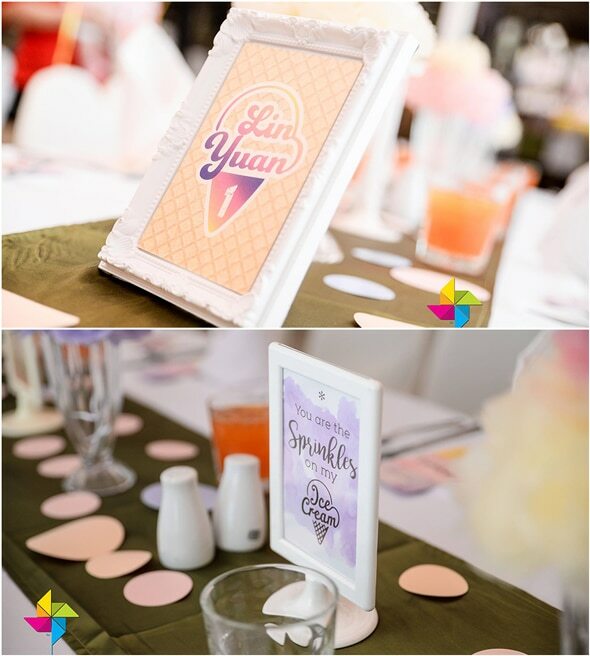 Soft, pastel colors of pink, purple and cream were used for the party. What a beautiful color palette! The venue decor was incredible. 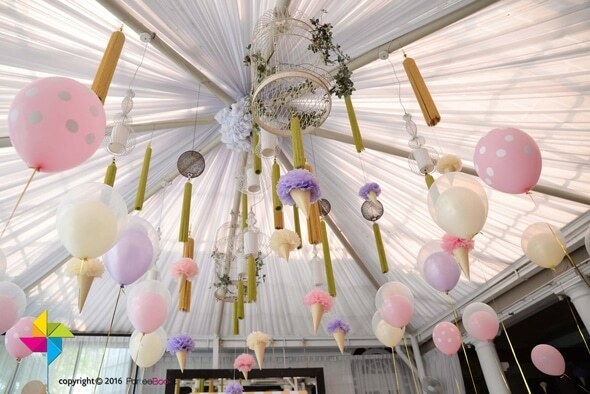 There were hanging ice cream cones made out of pom poms, along with helium balloons. FANTASTIC! 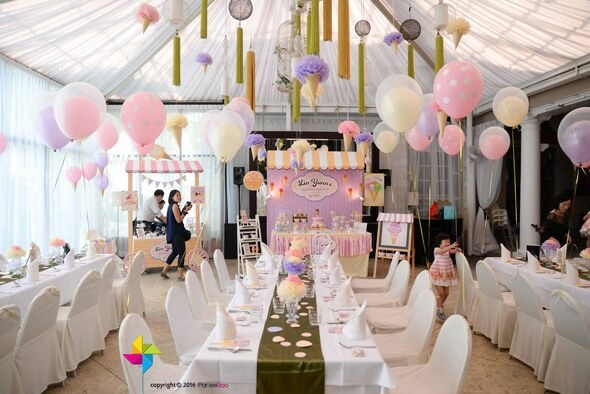 The first design was the “ice cream parlor” backdrop, along with the candy buffet. What incredible work! It was, by far, the highlight of the event! 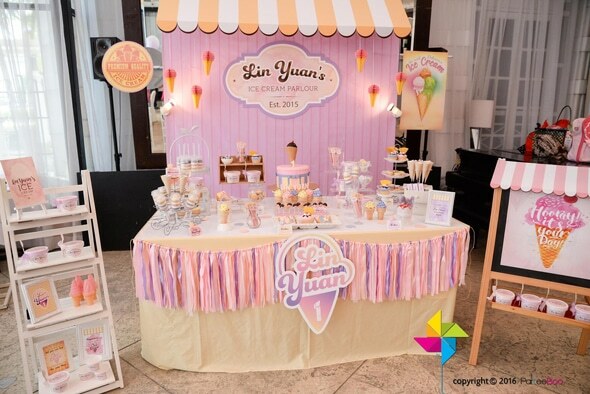 On the candy buffet, there were fondant cookies, macaroons, push up pops, fondant cupcakes, buttercream cupcakes in ice cream cones, lollipops and more! 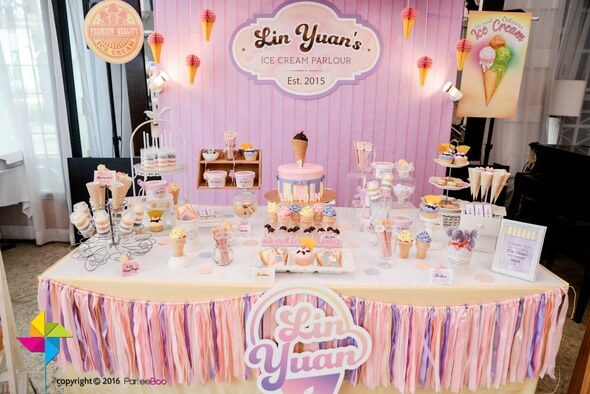 All were designed and made to suit the ice cream theme. Adorable! The “ice cream parlor” was a big hit! Have your pick of a Banana Split, Peach Melba or perhaps a simple Vanilla ice cream! Even better, a variety of sprinkles and chocolate sauce toppings were available. Yum! 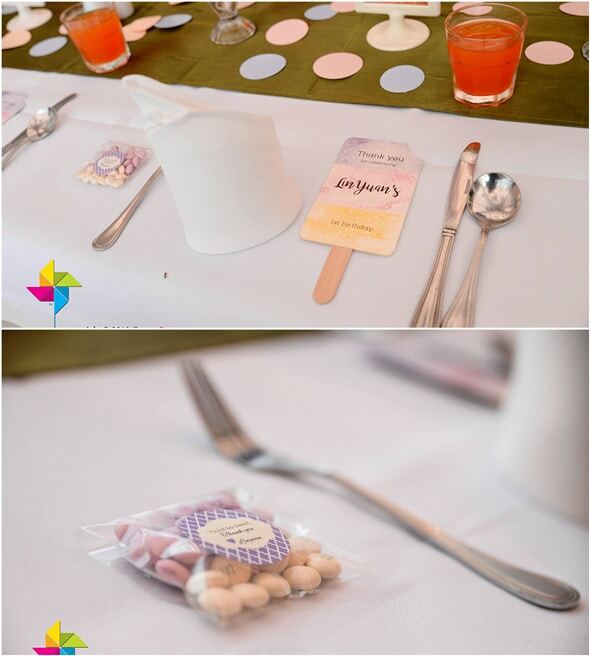 Party favors were a huge hit, as well! 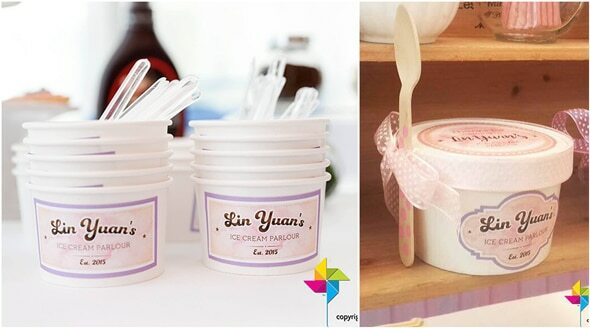 They were made to resemble ice cream tubs, complete with a wooden spoon! Inside were lots of candies and goodies for all of the kids. Nothing was forgotten on the guest tables, as well. 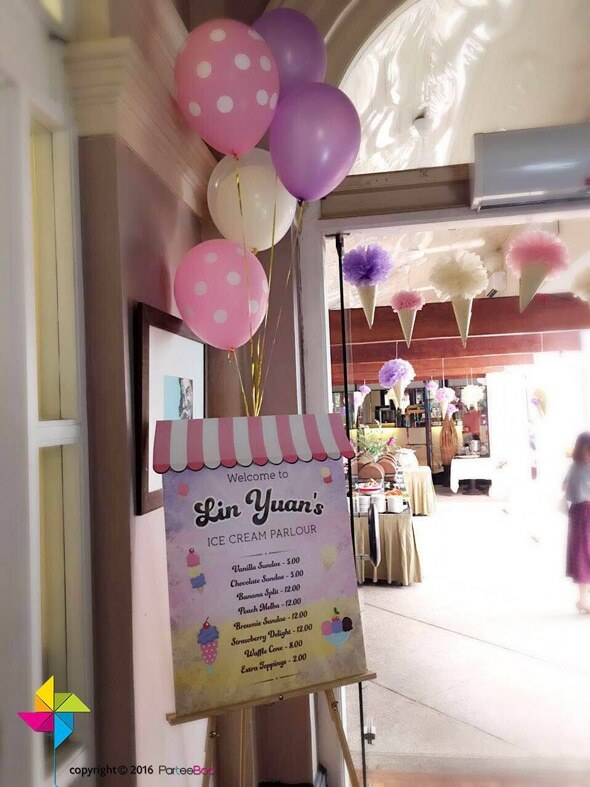 They were decorated with ice cream sundaes made out of pom poms, a popsicle shaped thank you card, M&Ms in the theme colors, and cards in frames with ice cream related quotes. Everyone loved it! 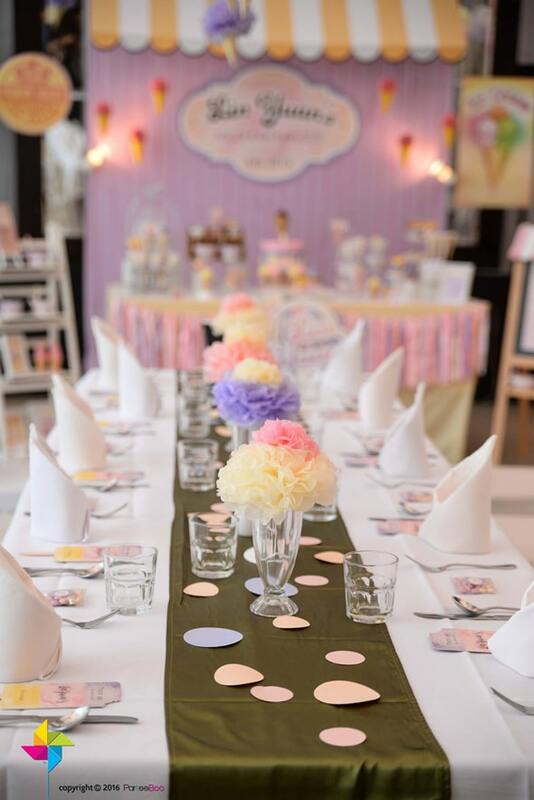 Any little girl would be lucky to have a beautiful birthday party, but ParteeBoo really went the extra mile to make everything perfect. What a fun theme! 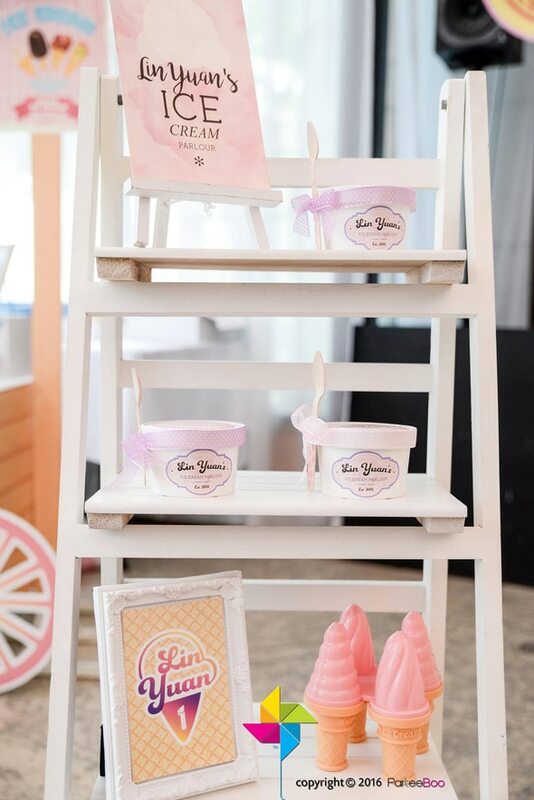 Seriously LOVE everything about this Ice Cream Party!! Where did they get the canopy?! Such a cute theme! 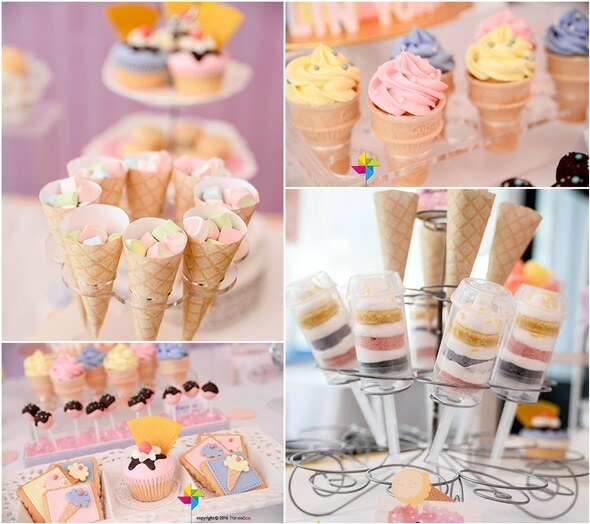 In one of the pictures it looks like marshmallows in a paper cone, where do you find marshmallows like that? !